Its a Galaxy Cruz, which I plan to use on the canal, Thames and reservoirs. There are some safety courses in my area which I want to do and I am also looking for some one in the area to go out on the water with for some fishing??? I need to get some safety equipment and a roof rack before my first voyage. This is a very frustrating time . 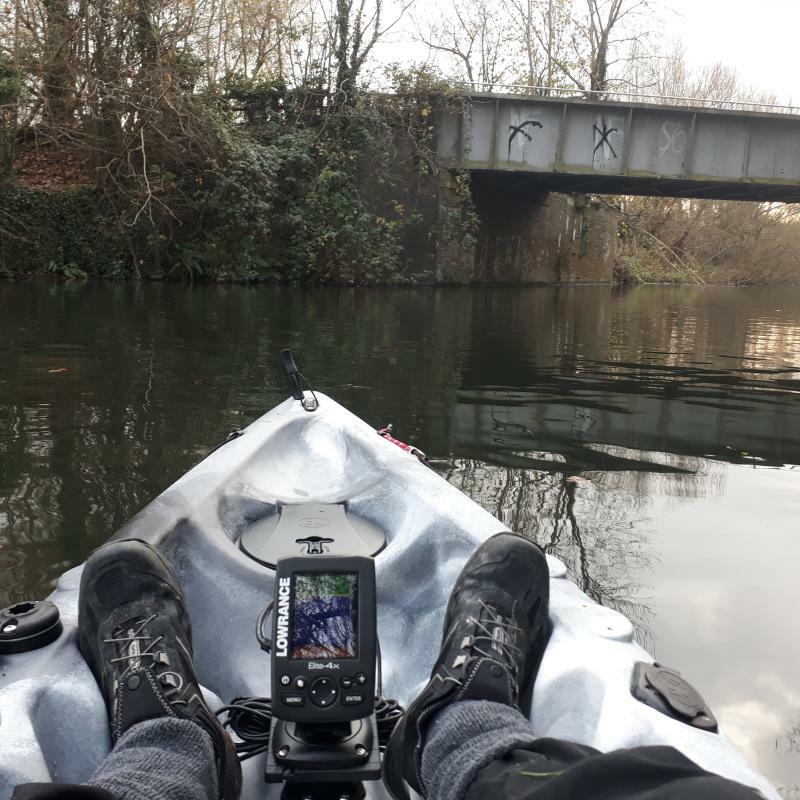 It has been great fun creating things to fit to the Kayak, including fitting my old Lowrance fish finder plus an anchor trolley. This included drilling holes in it which made me very twitchy but with the help of YouTube the job is a good one. So far the only issue I have found with this budget kayak is the lack of flat surfaces in front of the seat to mount things, it does have a lot of pre threaded areas that I can mount Railblaza connectors to so that is no doubt the way to go. The down side is I still have about three weeks before my op wound heals enough for me to be able to put it on and take it off the roof rack on the car. My friend across the road has said he will help me load and unload it so I may get my first outing in before 2019. My total out lay so far is about £375 . It's not necessarily the case that reservoirs that allow float tubes will also allow kayaks. 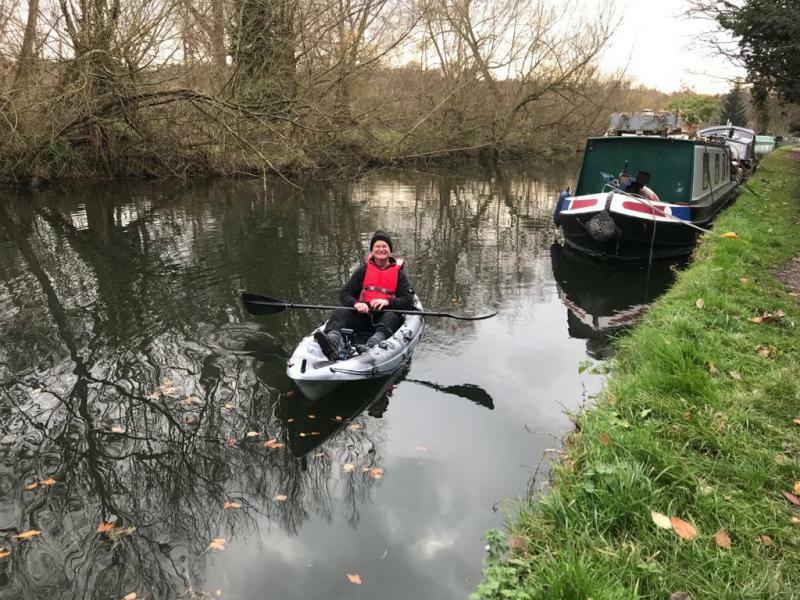 Severn Trent are very fussy about where they allow kayaks and usually it's only where it's reqarded as a sport in its own right (alongside sailing) and not connected with fishing. I believe Toft Newton allows them for fishing but best check with Andy Hutson who runs the place. I will look into those options. 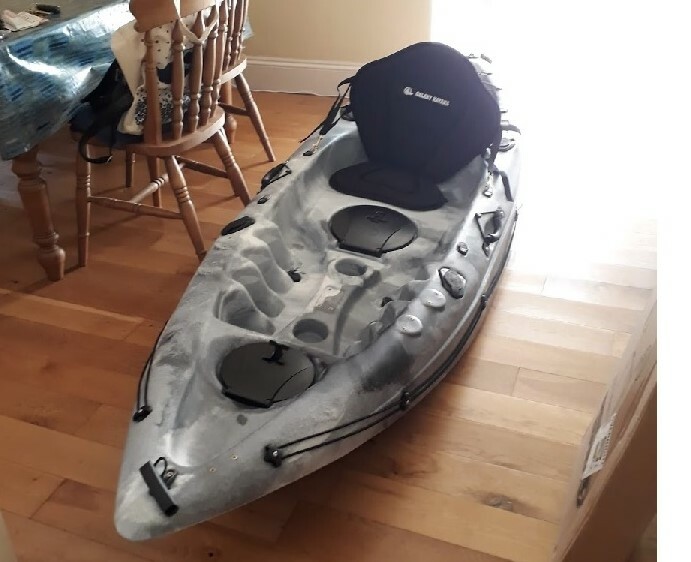 I do not think my little kayak would be up to sea fishing off shore, plus I don't have the experience other wise It would go to Cornwall with me on our next trip down there. yes you need something about 13'+ to give a good amount of speed and glide, little kayaks zig zag a lot and you will struggle in a tide or unexpected breeze. You should practice getting on and off it. Safety courses are a good idea when starting out. Warm weather helps immensely! 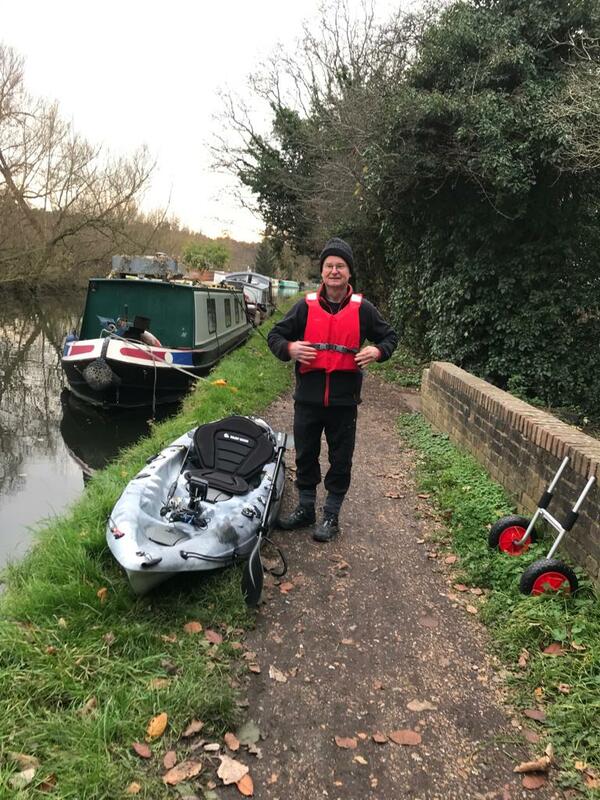 My first trip out with the help of Tony my neighbor for a paddle (but not fishing) on a calm canal with no wind. The fish finder works well and the extras I have added seem at first outing looks and feels right. It is surprising how big a narrow boat looks from a kayak.